Huge Discounts & Low Price Guarantee on all CroisiEurope Cruises! Book any CroisiEurope cruise with us and you'll get the best deal possible, regardless of the ship or sail date! 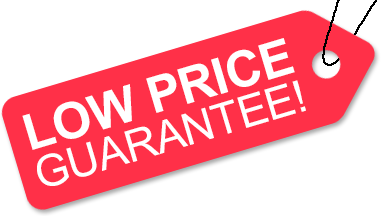 Because of our huge price discounts and "Low Price Guarantee," nobody beats our CroisiEurope cruise prices, so look around and you're sure to find the best CroisiEurope cruise deal possible when booking with us! All CroisiEurope sailings feature complimentary beer and wine at lunch and dinner, as well as open bar throughout the voyage. We do not charge booking fees on any cruises! You're sure to enjoy an affordable CroisiEurope cruise when booking with us! Our special offers on CroisiEurope Cruises may not be combinable. Certain restrictions apply to each offer. View terms and conditions during the online booking process. 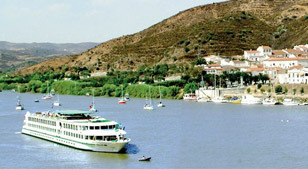 CroisiEurope is one of Europe's leading river cruise companies. Since its inception in 1976, CroisiEurope (originally called Alsace Croiseres) has provided travelers in Europe the experience of a lifetime. CroisiEurope prides itself on being one of the best values in the river cruising market. All CroisiEurope cruises include all drinks with the cruise price! Of course, all of this value doesn't come without fantastic itineraries, exceptional service, great cuisine, all on a beautiful ship. Being a French-based company, CroisiEurope prides itself in its expertise in the worlds of food and wine. Chefs use the freshest local ingredients in all dishes and guests are served three meals a day. All meals are served in your very own floating French restaurant and guests can enjoy a drink in each ship's lounge and bar. If the weather is nice, guests can even enjoy the sun deck and get a little color! Onboard amenities may include Jacuzzis or even a small pool on some ships. American Discount Cruises & Travel is proud to offer the best deals possible on all CroisiEurope cruises booked with us. Backed by our huge discounts on all CroisiEurope cruises in combination with our "Low Price Guarantee," and powered by our team of expert travel agents, we're sure to exceed your expectations when booking your next CroisiEurope cruise! CroisiEurope's fleet is 30 ships strong and still growing. This means that when traveling, there are multiple ship options in every destination. Countries traveled in include France, Italy, Spain, Germany, and Belgium. Each cruise features a staff and crew that have the experience and knowledge to provide every guest the trip of a lifetime. CroisiEurope provides some of the best value per dollar of any river cruise line in Europe. They are independent in every aspect of their operation, which means that all those cost savings get passed on to the customer. From ship design and construction to sales andmarketing, everything done is in-house and with the expertise that has made CroisiEurope one of the best in the industry. The French have always been known for their culinary expertise and on CroisiEurope you can cruise the rivers of Europe on your very own French restaurant. Expert chefs will take the freshest local ingredients and transform them into delicious dishes for every meal of your trip. On certain sailings drinks are complimentary allowing you to enjoy a nice glass of fresh French countryside wine with dinner without the worry of cost. In April 2016, CroisiEurope christened its newest ship, the paddle wheeler Elbe Princess. At 311-feet long with an 80-passenger capacity, the ship's decidedly European design exudes an informal warmth and personality embodying the French love of life. Guests will have a selection of two types of cabins onboard: French balconies on Deck 2,or large picture windows on the lower deck, including one accessible cabin. Beds in all rooms have been positioned to face the windows, and amenities include drop-down, flat-panel televisions. Following the launch of Elbe Princess, CroisiEurope has hinted at the addition of a third paddle wheel ship in the works for 2018. CroisiEurope launced one of its newest vessel concept, designed especially in mind for cruising the longest river in France, the Loire: MS Loire Princesse, the first cabin accommodating cruise vessel to debut on the river. Nicknamed the "Green Ship", her design was created with ecological consciousness in mind. MS Loire Princesse launched in April 2015, offering 6 to 8 days cruises. March 2014 saw the inauguration of CroisiEurope's MS Lafayette. Designed in an inviting and modern style, the ship's forty-two spacious cabins feature floor-to-ceiling picture windows and are well stocked with amenities to make your stay comfortable, such as a wide-screen TV and mini bar. MS Lafayette's itinerary expands CroisiEurope's reach along the Rhine, as well as adding exclusive excursions to locations like Mainau Island and the Black Forest. Alongside the MS Lafayette, the MS Anne-Marie and MS Madeleine were also christened. CroisiEurope introduced new ships to the rivers of Europe in 2013, and is doing the same during 2014. New vessels include MS Cyrano de Bergerac and MS La Boheme sailing the Garonne and Rhine, respectively. Other new builds include MS Jeanine and MS Raymonde, sailing the smaller canals of France. African Dream - NEW SHIP! MS Amalia Rodrigues - NEW SHIP! MS Anne-Marie - NEW SHIP! MS Cyrano de Bergerac - NEW SHIP! MS Deborah - NEW SHIP! MS Elbe Princesse - NEW SHIP! MS Elbe Princesse II - NEW SHIP! MS Gerard Schmitter - NEW SHIP! MS Jeanine - NEW SHIP! MS Lafayette - NEW SHIP! MS Loire Princesse - NEW SHIP! MS Madeleine - NEW SHIP! MS Miguel Torga - NEW SHIP! MS Raymonde - NEW SHIP! RV Indochine II - NEW SHIP! Note: Content shown in videos is subject to change as time passes from when the videos were filmed. With the exception of the initial introduction and the ending portions of videos where our logo is shown, these videos were not produced by our company, and we hold no liability if any information shown is inaccurate.